I bought is the 20 gallon Spectra Premium F32A. Finally had some time to pull it out of the box and I noticed there is a third large hole (2" across +/-) on the bottom side. With the cold temperatures and all I haven't been able to go out there and see what the original looks like. My back doesn't do well on a cold floor. Since I've never had to replace a gas tank before I'm not sure what this is, could it be the drain or venting? Here is a picture of the Spectra tank. The rubber pads I chose to put on. They are solid not foam and are there to relieve any chance of vibration. The 2" or so hole is the top vent. This had a 5/16" tube from the canister back to the tank. Also I mentioned before to get some 3/8" x 3 1/2" or 4" galvanized carriage bolts, washers and nuts. 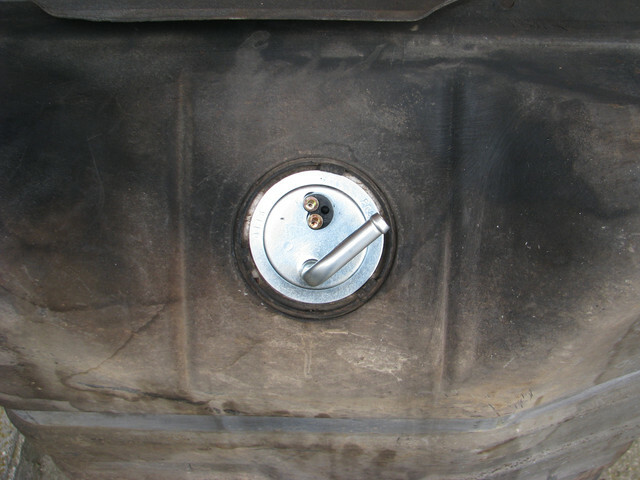 No more rusted bolts should you need to drop the tank again, but that's your choice. Another pic or three. For some reason unknown to me, I could only upload 1 pic before. Bottom pic is of course the new filler neck grommet. Middle pic is the correct orientation for the sender unit.. There has been a lot posted on tanks and replacement of lines by myself and others if you search. Thanks for the pictures, I see now the right orientation for the sending unit. Thanks. (01-21-2019, 12:03 PM)slowpoke17 Wrote: Thanks for the pictures, I see now the right orientation for the sending unit. Thanks. Yes, glad to help out. I have more pics if you need them. 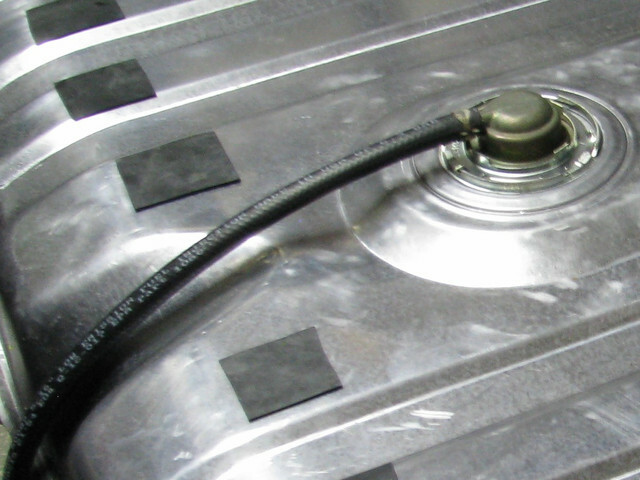 Not sure how much you have been following posts recently on gas tanks, sending unite, fuel lines etc. etc., but lots of info is on the Forum. 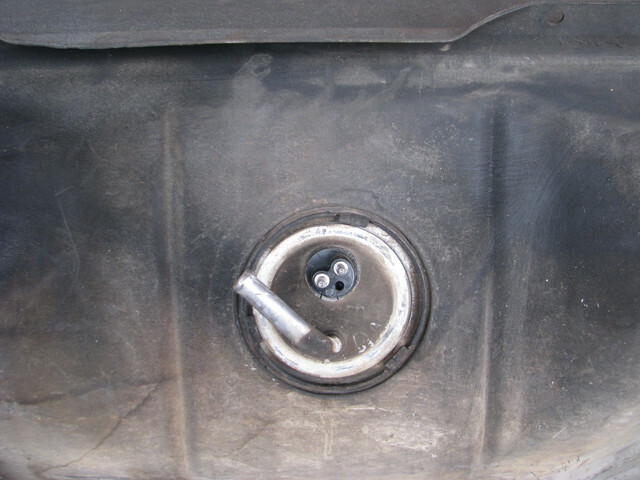 I placed the sending unit in the tank and the tube faces the rear (toward the filler neck). I wo der if it's the right unit? It's the Spectra FG87A. FFS, they still haven't fixed that issue? It's been what, 20 years? I went back on line and checked other sites, its the right part supposedly for 73 Mustangs. If I oriented it the other way the pickup tube is up in the air inside the tank. As it is now it sits near the bottom. I guess its not a big deal to route the rubber hose, should be OK. This is what you bought. Outlet points to the back. This is what it should look like. This one is the original, but is the correct orientation.